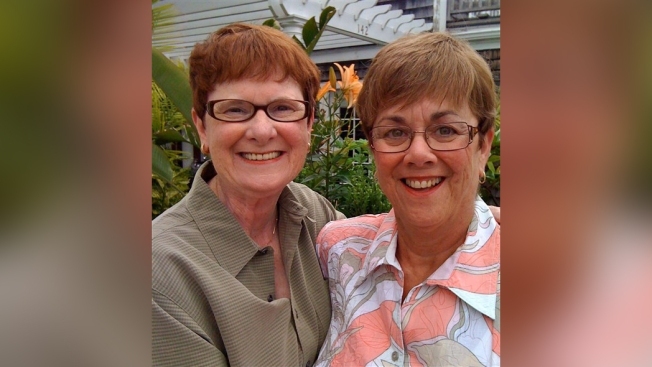 Mary Walsh and Bev Nance at their 2009 wedding in Provincetown, Mass. A federal judge this week ruled against a lesbian couple who sued a Missouri retirement home for rejecting their apartment application because their marriage is not "understood in the Bible,” NBC News reported. The letter they received from Friendship Village said the only married couples they accepted were those in unions between "one man and one woman."